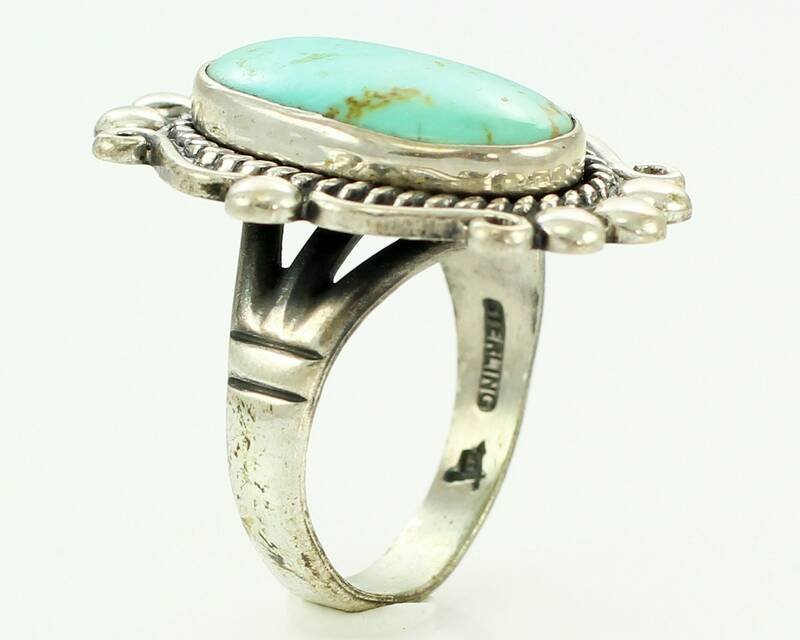 Lady's Oval Turquoise and Sterling Silver Ring by Bell Trading Post. It is a New Old Stock from the 1970's. 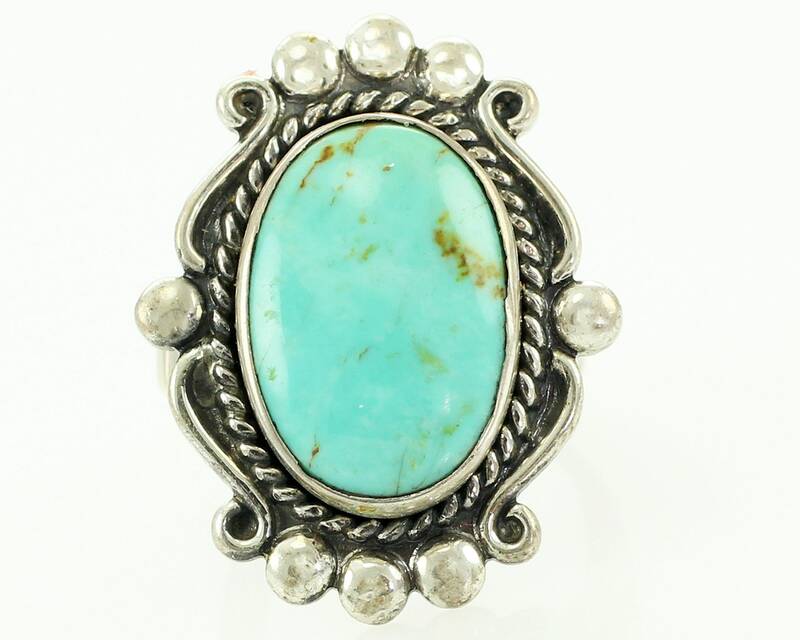 The mounting features a bezel set oval turquoise cabochon with rope twist outer bezel, scroll and dew drop decorations. The rings has triple split shank. 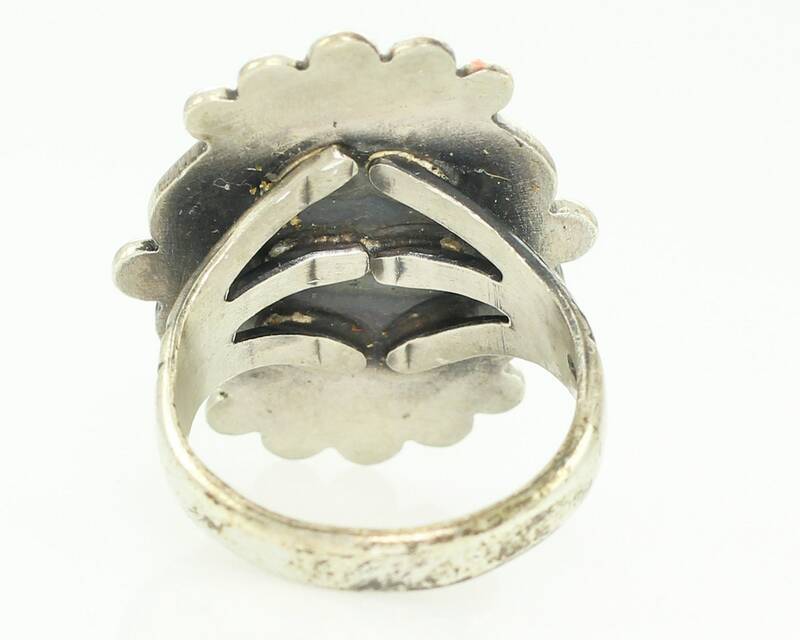 Made by Bell Trading Company, the ring has the Bell signpost mark on the inside of the band. 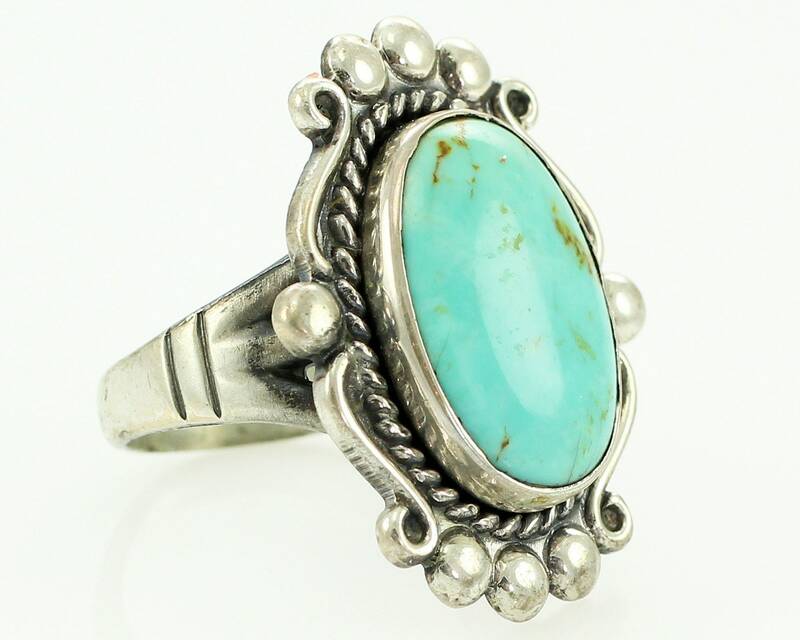 The stone measures 16.3 mm tall and 11.5 mm wide. 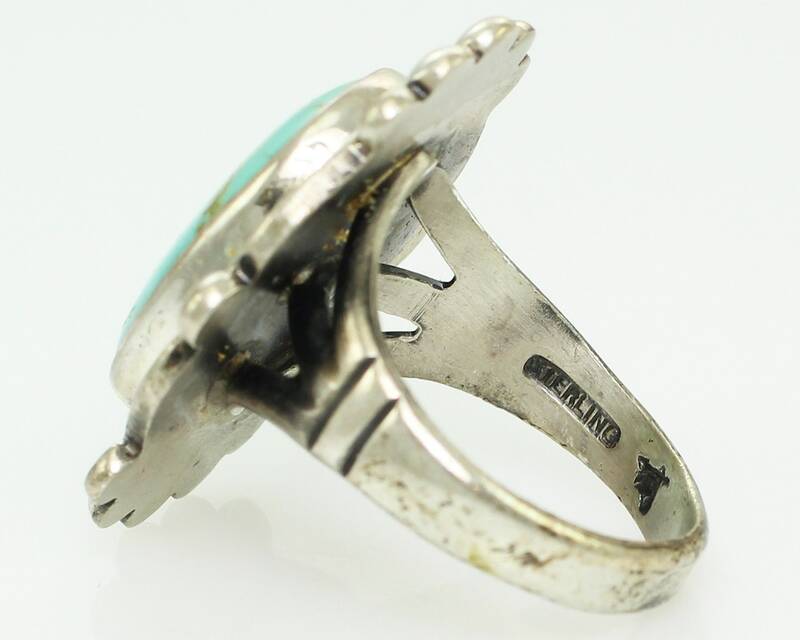 The ring measures approximately 27 mm wide at the front and tapers to 3.35 mm at the reverse. HALLMARKS/HISTORY: Sterling with the Bell Trading Post mark on inside of shank. Bell Trading of Albuquerque, NM used this mark from about 1961 until their close. MEASUREMENTS: 27 mm at the stone, tapering to 3.35 mm at the reverse.